After countless hours of working, our Robotics club, Team Hidary competed in the Dalton FTC qualifier. They received 3rd Place in the overall qualifier. They were also nominated for 2 awards throughout the matches. 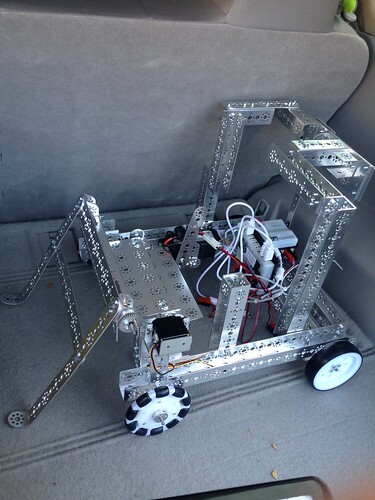 The student had both Autonomous and Manual elements integrated into the robot. They won 4/5 matches, against various regional schools. They were widely successful in capturing beacons. Thanks to the support of Issac Cohen, Mrs. Hanon, Jack Hidary, and Mr. Horowitz, for mentoring and supporting the team since day one. We hope to host, a competition at the Yeshivah of Flatbush in May.